Main function of this app which is allowed you to import product to your Shopify store. Here's some tips. This is one of first steps you should do after you install Ali Orders. 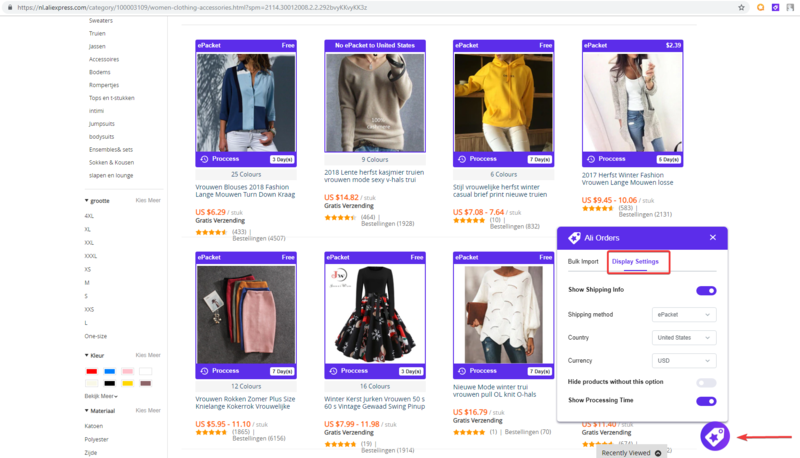 Search for needed products: Type in any keyword in the search tool or use the category filter on the left side to see product listings. I. Import A PRODUCT to your store. 1. Before importing, you can filter products by options that meet your need. Click on Ali Orders icon at the right corner > Choose “Display Settings”. Select your shipping method and country that products are shipped to. Enable “Hide without this options” button to show products that meet your shipping option only. 2. Click on Ali Orders icon next to the product to import it to your store. 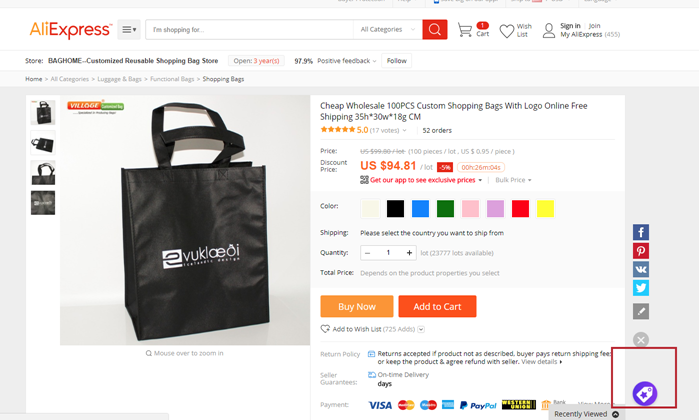 OR open a link of specific product, then click on Ali Orders icon to import product to your store. 3. Check the result at Ali Orders dashboard > Import List. 4. Finally, customize your products and click on the "Push to Shop" button to show these products in your Shopify store. II. BULK IMPORT PRODUCTS from a selected product page. 1. Click on Ali Orders icon at the right corner > Choose “Bulk Import”. 2. Select your shipping method and country that your product is shipped to. 3. Enter the product price range according to your need. 4. Click on “Import this product page” button and waiting a minute. 6. Check the result at Ali Orders dashboard > Import List. 5. Finally, customize your products and click on the "Push to shop" button to show these products in your Shopify store.